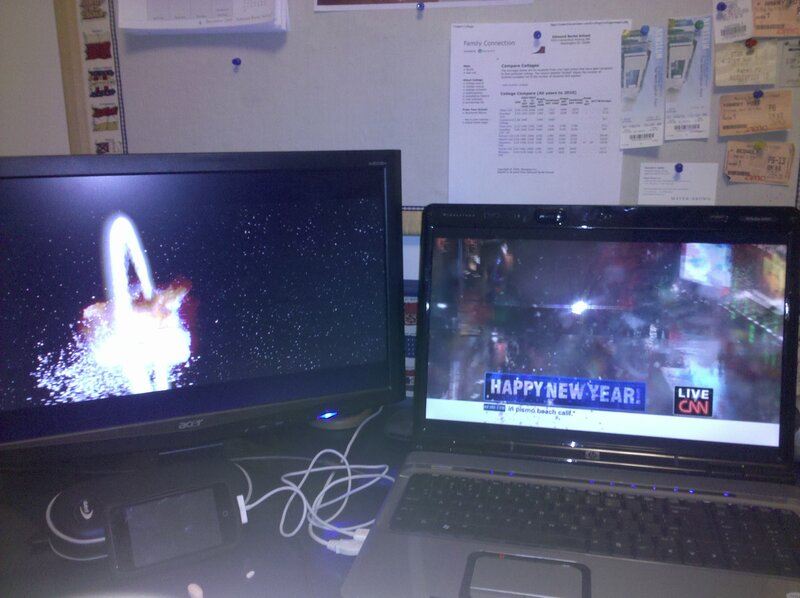 With mere hours left in the year 2011 ("twenty oh-eleven," as Jimmy would say), we're getting ready for our annual New Year's Eve tradition: watching our copies of A New Hope (now available on Blu-ray!) to ring in 2012 and say goodbye to 2011. Let's start the new year off right by watching the original Star Wars movie and destroying the Empire's super-weapon at the stroke of midnight! We've shared this tradition, which started in the McInerney household, with our listening audience in 2009 and 2010. Now, the tradition continues for the changeover from 2011 to 2012. 1. Cue up your copy of A New Hope. Start the movie and hit pause immediately. Make sure the counter reads 0:00:00. When you reach the designated time (as determined below), hit the play button. You can use this website to determine the exact time as determined by our nation's atomic clock. 3. If you timed it right, and your media player didn't have any hiccups, the Death Star should explode at midnight exactly. HAPPY NEW YEAR! 4. Celebrate with friends, family, and beverages of your choice. Special Edition DVD: Press play at 10:02:48 PM. 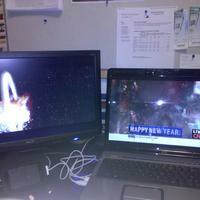 The Death Star will explode at 1:57:12 in the movie. Blu-ray Disc: Press play at 10:02:42 PM. The Death Star will explode at 1:57:18 in the movie. When: Because there are several major time zones in the U.S., our celebration will begin shortly before 10pm on the East Coast and continue on throughout the night as the countdown reaches the West Coast. That means we'll have some overlap because East Coast people will still be going when Central people start, and then the same will be true for folks in the Mountain and West Coast time zones. Who: You, your friendly ForceCast team, and a world of ForceCast listeners. 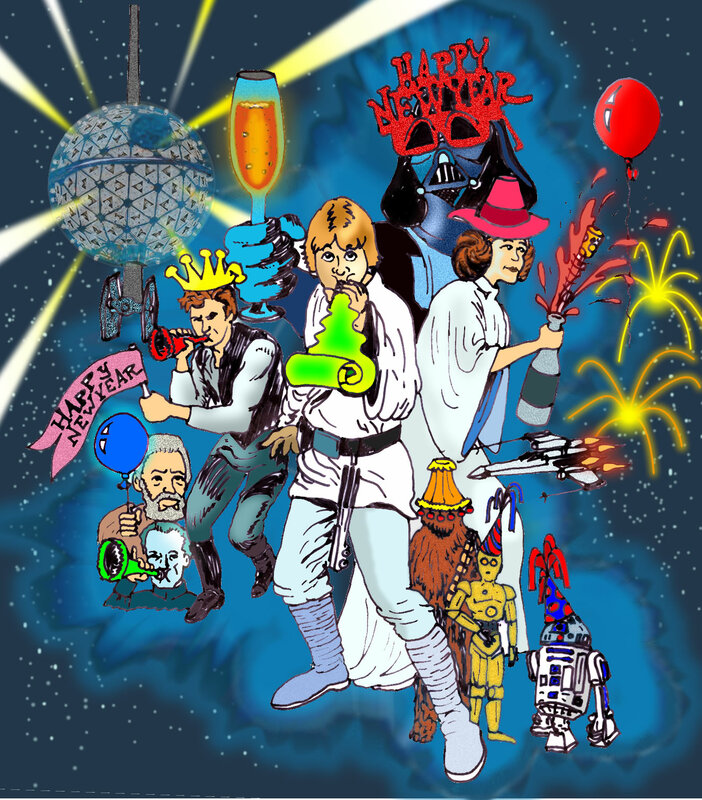 Whether you can make it or not, have a safe, healthy, and happy 2012 from your friends at The ForceCast!